Austin City Limits: Alcohol (70.9%) was the most commonly used drug at Austin City Limits, followed by marijuana (24.2%), and mushrooms (4.4%). Bonnaroo: Alcohol (74.9%) was the most prevalent drug used at Bonnaroo, followed by marijuana (41.4%) and MDMA/molly/ecstasy (10.7%). Burning Man: Alcohol (71.8%) was the most frequently abused drug at Burning Man, followed by marijuana (47.4%) and mushrooms (19.2%). Coachella: Alcohol (70.4%) was the most popular drug abused at Coachella, followed by marijuana (38.5%) and MDMA/molly/ecstasy (11.2%). Electric Daisy Carnival: Alcohol (67.0%) ranked as the top drug abused at Electric Daisy Carnival, followed by marijuana (40.1%) and MDMA/molly/ecstasy (26.4%). Alcohol: SXSW (77.1%) ranked first in terms of music festivals where alcohol use was most prevalent, followed by Bonnaroo (74.9%) and Ultra (74.3%). Marijuana: Burning Man (47.4%) was the top-ranked music festival where marijuana use was most prevalent, followed by Bonnaroo (41.4%) and Electric Daisy Carnival (40.1%). MDMA/Molly/Ecstasy: The prevalence of MDMA/molly/ecstasy at music festivals was greatest at Electric Daisy Carnival (26.4%), followed by Burning Man (17.9%) and Ultra (17.7%). Mushrooms: Burning Man (19.2%) was the top music festival relative to mushrooms prevalence, followed by Bonnaroo (9.8%) and Governors Ball (6.5%). LSD: Burning Man (16.0%) was the top music festival in terms of LSD prevalence, followed by Electric Daisy Carnival (8.2%) and Bonnaroo (7.9%). Drug use is prevalent at music festivals. Fortunately, people who understand this issue can prepare for their next music festival accordingly. Why Do Music Festival Attendees Use Drugs? Music festivals foster drug experimentation. A music festival sometimes provides a hot spot for experimenting with drugs. As such, a music festival attendee who is curious about a certain drug and its potential impact may choose to take it for the first time at the event. Peer pressure to use drugs escalates at a music festival. Adolescents and young adults are more prone than others to give in to peer pressure. 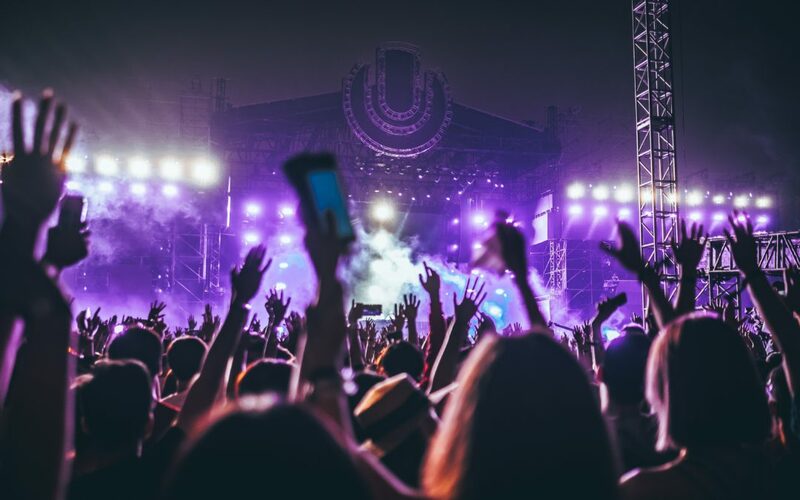 If an adolescent or young adult music festival attendee is surrounded by fellow attendees engaging in drug use, he or she may be more likely than ever before to use an illicit substance in the hopes of fitting in with the crowd. A person believes that drug use can improve his or her music festival experience. Drugs are frequently used to help a person relax or clear his or her mind, and a person may believe that drug use could help him or her enjoy the best-possible experience at a music festival. Engaging in drug use even once at a music festival can have physical, emotional, and psychological effects on a person. However, an individual who understands these effects is better equipped than others to avoid the potential consequences of drug use. Drinking Too Much: A music festival attendee may feel confused, slur his or her speech, have trouble breathing, or experience other physical issues if he or she consumes too much alcohol at once. Drinking and Driving: A music festival attendee who drives home after a music festival – despite the fact that he or she has consumed too much alcohol – puts himself or herself and others at risk. Addiction: A music festival attendee who starts to believe that he or she needs to consume alcohol to enjoy events and activities may lay the foundation for an addiction – something that might ultimately lead to assorted physical, emotional, and psychological problems and even death. Physical Issues: Stimulants have been shown to increase a person’s heart rate and cause muscle spasms and convulsions, among other physical problems. Long-Term Health Problems: Stimulant abuse has been linked to a variety of long-term health issues, including respiratory failure, tooth decay, and liver, lung, and kidney damage. Death: A person who consumes too much of a stimulant at once may suffer a heart attack, stroke, or seizure, any of which can lead to sudden death. Physical Issues: Opioid use is generally associated with short-term physical side effects like constipation, dry mouth, and itching, as well as long-term physical side effects such as weight loss and stomach pain. Overdose: Consuming an excess amount of opioids at once may result in an overdose. Death: An individual’s risk of long-term opioid abuse spikes after five days, according to Truth Initiative, and a person who starts using opioids at a music festival could develop an addiction that results in death. Drug use at music festivals is unlikely to stop or slow down any time soon. Conversely, an individual can takes precautions to combat drug use at music festivals. Stay hydrated. Water offers a natural energy source. Music festivals frequently have water stations set up; find out where these stations are located and visit them regularly. Or, if possible, pack a water bottle to carry during a music festival. Bring a buddy. Attend a music festival with a friend, family member, or another loved one and remain in constant contact with this individual. Also, determine a central location to meet in the event that you are separated from your buddy during a music festival. Find the medical tent. Locate a music festival’s medical tent upon arrival at the event. By doing so, you will know exactly where to go if emergency medical care is required. Proceed with caution. When it comes to drug use at music festivals, it is always better to err on the side of caution. Therefore, you should only buy beverages and foods from authorized vendors and never leave any bags unattended. It is also important to keep an eye out for any suspicious people at a music festival and report them to event staff members immediately. Lastly, for those who are dealing with a drug addiction or know someone who is dealing with a drug addiction, ibogaine therapy from Clear Sky Recovery is available. Our comprehensive ibogaine treatment program helps individuals identify the root cause of their addiction and prevent relapse. To find out more, please contact us today at 305.901.5371.